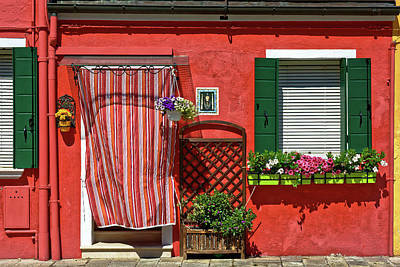 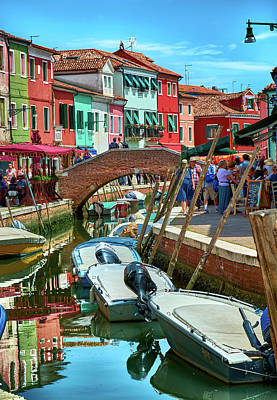 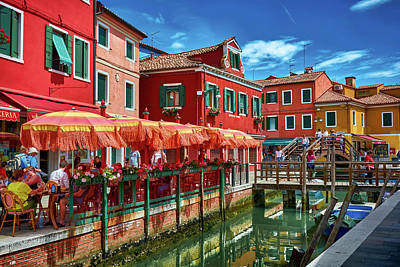 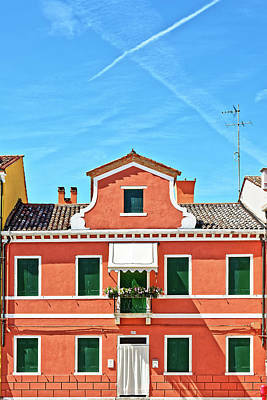 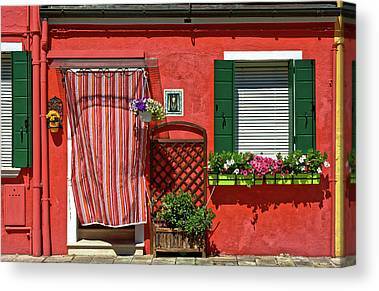 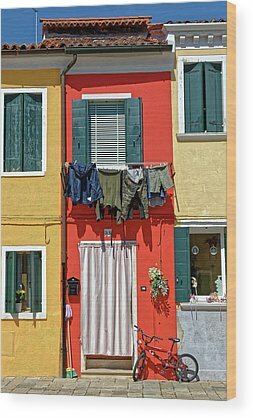 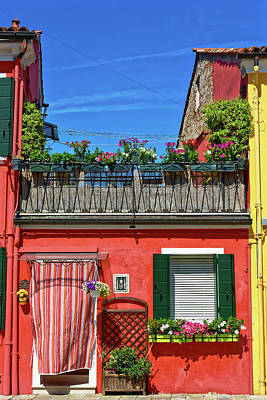 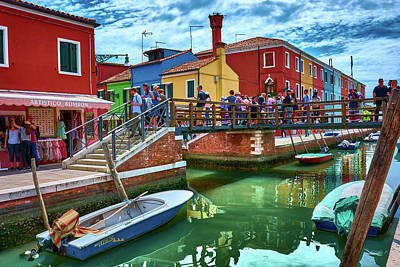 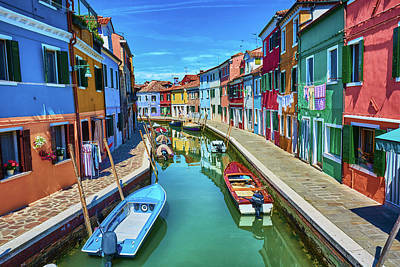 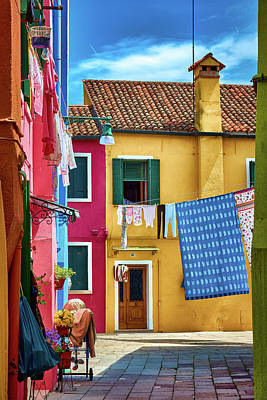 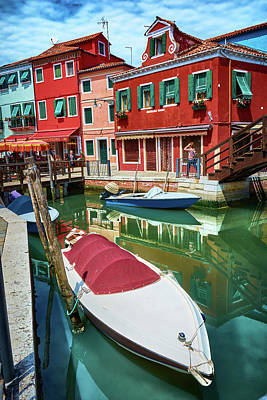 Images of the colorful Burano, one of the islands that surround Venice, in Italy. 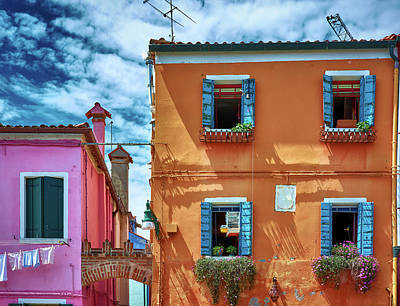 If you go there, prepare to be captivated by this vibrant, picturesque town full of magic. 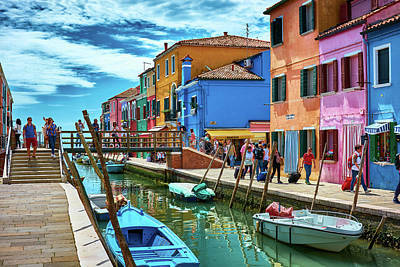 You´ll want to explore every single corner, and you should do it by all means! 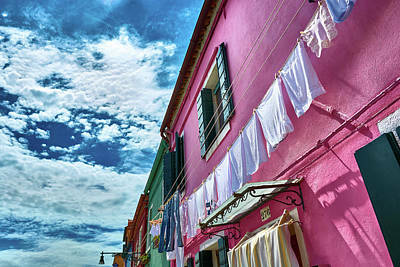 Who knows what you´ll find there, hiding among the dreams.. 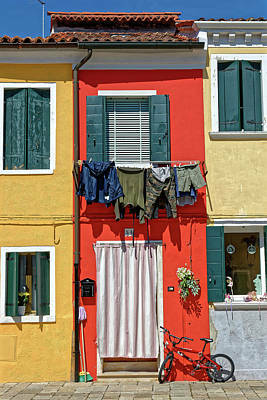 Houses of many different colors such as red, yellow, green, blue and pink, buildings with their facades decorated with hanging clothes, flowers and plants, each of them different from the others. 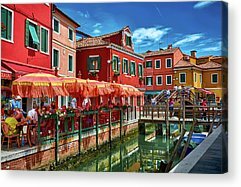 If you want an art print with many colors for your rooms or interiors, you are in the right place. 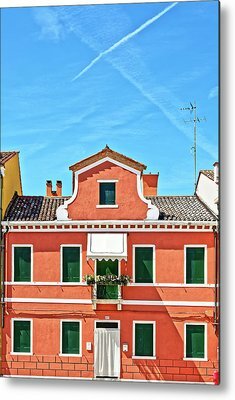 See also my images of: The island of Venecia, the city of Florence, the old Roman Empire, different scenes and attractions of Spain, awesome landscapes, old and modern architecture and constructions, or see photos in black and white for your interiors.